Product prices and availability are accurate as of 2019-04-15 10:36:40 EDT and are subject to change. Any price and availability information displayed on http://www.amazon.com/ at the time of purchase will apply to the purchase of this product. 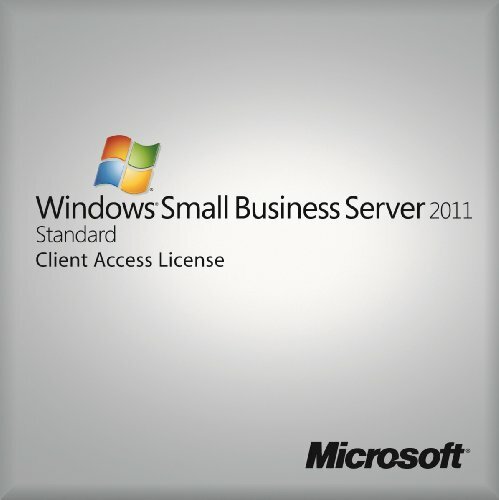 With SBS 2011 you choose how CALs will be used based on how the server is to be accessed on a regular basis. There are two types of CALs to choose from: Device CALs or User CALs. These options give you the flexibility to choose the CAL type that best suits your business needs. Device CALs With Device CALs, you acquire a CAL for every device-such as laptops, desktop computers, Pocket PCs and smartphones-that needs access to your server. 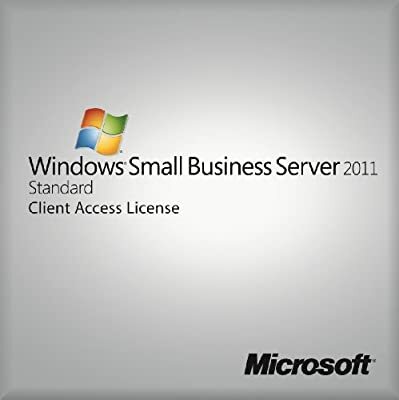 With this option, any user can access the server on the licensed device. Device CALs might make the most economic and administrative sense for an organization that has multiple users for one device, such as shift workers. If you choose device CALs, then each device that accesses the SBS 2011 server will consume a CAL, and you can reallocate that CAL if you retire a device. User CALs With User CALs, you acquire a CAL for individuals who are given named access to your server. Licensed users can access the server from any device. User CALs might make the most sense for an organization that has many roaming employees who need access to the corporate network from mobile devices or employees who use multiple devices to access the network. You can reallocate a user CAL if a reassignment is permanent. You can also temporarily reassign a user CAL if the user is on leave or the device is disabled.